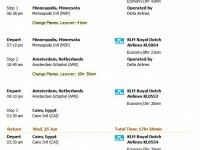 The usual price of a flight from San Francisco to Cairo is around $1,562. 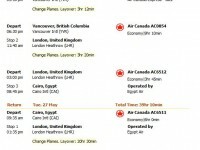 Good to know that one can await to get around 14.8 thousand award miles for a flight on this route. A flight from San Francisco to Cairo will be around $1,548 in off season whereas it rises in high travel season. Good to know that the best price found for the same route is $1,030, it was a Continental Airlines flight discovered by travelers on Faregeek. But the best price discovered in the past year is great too, only $1,032 r/t for a Alitalia flight found for March 2013 on SmartFares. 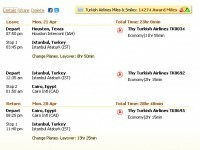 High season is around December to February in Cairo and because of this airfares can get really pricey during this time. If you are searching for lower rates, it is smart if you travel in May-September, over low season, when airlines tickets can be more affordable. We believe that normally the right time to travel to the city from San Francisco is between low and high season, during March to April and October to November. The normal flight length between San Francisco and Cairo is 7,925 miles (12,753 kilometers) thus, you can normally expect an average 22 hours and 43 minutes journey. San Francisco is connected to 102 different airports in total. The only airport of the city, Cairo International, is circa 10 miles away from the central part of the city. The longest possible flight distance between San Francisco and Cairo is 10,302 miles. The longest flight departing from Cairo arrives to Bombay and it’s 6,281 miles (10,108 km) long.